Mesothelioma is a rare but aggressive cancer that develops in the cells that line the body’s organs, particularly in the chest and abdomen, and is largely due to asbestos exposure (it’s also called malignant mesothelioma because there are benign forms of mesothelioma, but the cancerous form is best-known and often referred to simply as mesothelioma). The most common form of this cancer is pleural mesothelioma, which occurs in the lining of the lungs, followed by peritoneal mesothelioma, which affects the lining of the abdomen. Much rarer instances of mesothelioma develop in the covering layer of the heart, known as pericardial mesothelioma, and of the testicles, known mesothelioma of the tunica vaginalis. These cancers are named after the area they affect: the mesothelium, composed of mesothelial cells. 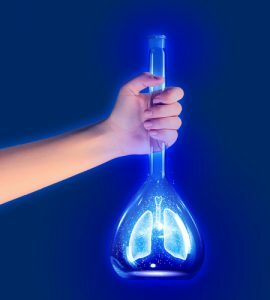 The mesothelium protects organs through a lubricating fluid it creates, enables the organs to move without injury (think of your lungs expanding and contracting with each breath). 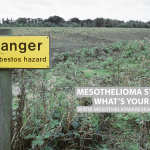 Widely varying symptoms can be the first signs of mesothelioma. But because they are so varying, and because they can related to other diseases or illnesses, a conclusive diagnosis may take time. Symptoms of pleural mesothelioma, its most common form, can include hoarseness, shortness of breath, pain in the chest or lower back, fever, cough, excessive sweating, unintended weight loss, trouble swallowing, fatigue, and swelling in the face and arms. Symptoms of peritoneal mesothelioma can include nausea and vomiting, belly pain, constipation, unintended weight loss, and abdominal swelling. None are conclusive for a diagnosis, and additional examinations are necessary. 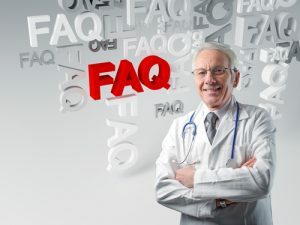 When a patient seeks medical help for symptoms that might indicate mesothelioma, the physician will start by asking the patient’s medical history to learn more about the symptoms and possible risk factors — like workplace asbestos exposure — and then perform a physical exam, feeling for areas of pain, tenderness, or lumps. The physician next will likely request specific tests, starting with imaging tests like X-rays, computed tomography (CT) scans, magnetic resonance imaging (MRI) scans, and position emission tomography (PET) scans. If pleural mesothelioma is suspected, a thoracoscopy (a small surgery using a thoracoscope that can include a biopsy) is also likely; for peritoneal mesothelioma, a laparoscopy (again, small examination surgery and, often, biopsy) will likely be requested in addition to some or all of the other tests. 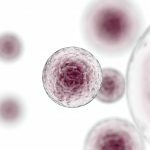 Other initial (pre-diagnosis) tests and biopsies may be requested, however, because the different types of cells that can make up a mesothelioma tumor can be mistaken for other cancers, Cancer Research UK says. 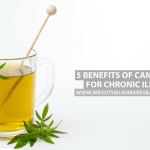 Blood tests may also be requested to evaluate the level of substances, like osteopontin and soluble mesothelin-related peptides (SMRPs), which tend to be higher in patients with mesothelioma. The tests are usually performed by specialists, including oncologists, radiologists, and pulmonologists. Test results can take anywhere from a number of days to, according to some reports, up to three months, depending on the complexity of the tests and their number. All biopsy and fluid samples, for instance, need to be evaluated in a pathology lab. 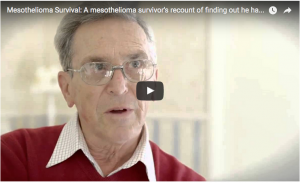 Should mesothelioma be diagnosed, a specialist will next determine the type of mesothelioma based on cell patterns. 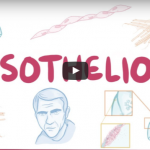 Most mesotheliomas are classified as either epithelioid, sarcomatoid, or mixed/biphasic. There are no regular screening tests for a rare cancer like mesothelioma, such as exists for colon or breast cancers, and this cancer in most patients is detected only after the patient visits a doctor with complaints of symptoms. 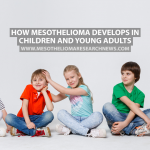 People who have been exposed to asbestos should be aware of these symptoms, and report any such symptoms to a physician quickly, because asbestos exposure is the leading cause of mesothelioma.